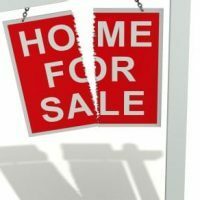 A very common issue that divorce attorneys have to assist their clients with in litigation is where certain property that is owned by the parties such as real estate , automobiles, boats, mobile homes, or other property and one of the divorcing spouses feels very strongly about having their name removed from the financing. The reasons for wanting their name removed from financing on a property can range from wanting to seek financing on their own separate property all the way up to having an intense distrust for the other side thinking that they would intentionally do damage to that person’s credit score by not making payments. Regardless of the reasons that a person might have for wanting their ex-spouse off of financing some hard truths remain that is if they are both on a mortgage for real estate they have a few options available to them . Anyone who has tried to purchase a home or had a hard time getting financed for an automobile will usually have some general understanding of the fact that there are a number of factors that go into a lender’s decision to issue a loan to individuals such s: income, credit score, debt to income ratio, and many more. Very often when divorce lawyers are sifting through the wreckage of a marital relationship deciding what assets and debts to divide they will come across expensive items that are financed in both names. Married couples may have many reasons for having co-borrowed to make purchases such as one of them not being able to qualify by themselves. The problem in this situation is that in order for that person to have an item refinanced into their sole name they also need to be able to qualify to finance that amount by themselves. This is where a lot of problems come in divorce negotiations and settlement talks where one spouse wants or needs the other off of a loan. Many divorcing couples do not understand that a court will generally not order someone to be removed from a mortgage or an auto loan unless they make certain findings that the person to remain on the loan can qualify for refinancing by themselves. Otherwise, a court would be ordering a person to do something that they cannot possibly comply with which is not something a judge will usually knowingly do. This can be a huge problem for many people especially when they believe that there was mismanagement of funds during the marriage or when they have other reasons not to trust the other side. Additionally, it is not uncommon for divorce attorneys and judges to get an allegation about the other side that they would intentionally stop making payments in order to damage the credit score of the other. While such blatant conduct is not very common it is a possibility which is why it is important for the legal practitioner to explain to their clients that both names may need to remain on the loan however there are ways to build protection into divorce settlement agreements that can satisfy their clients. How Can You Be Sure That Your Divorce Attorney Is Working To Protect Your Credit In Your Divorce? When a divorce settles the parties will enter into what is called a marital settlement agreement this is a very lengthy agreement that spells out very specific guidelines that both sides must follow which will ultimately be signed by a divorce judge taking the effect of a direct court order. Having an experienced attorney in your dissolution of marriage cases can be your best bet to include this type of protection. For example, if I represent a husband who wants his name off a vehicle that will become the property of the wife and her responsibility will be to keep up payments. I would need to explain to the husband that if the wife cannot qualify to refinance the car in her name alone this is simply not a realistic option. I would then need to explain to the client that when we work out a settlement in his case we could add language that says that if the other side falls more than 60 days behind on the car payment the car is to be immediately sold, traded in, or that the husband may take immediate possession in order to take whatever steps are needed in order to protect his credit. If the case ends up going to trial the judge in the case will not have many more options than to either order the sale of the property or to build in the types of protections mentioned above.